If you are an American Express Cardholder, or thinking about becoming one, then you can look forward to many included Amercian Express card benefits such as American Express Purchase Protection, American Express Return Protection, and American Express Extended Warranty. These features protect the items that you use your card to purchase in the case that they are stolen or break, the merchant you purchased them from won’t allow you to return them, there is a defect after the manufactures warranty has expired, and much more. This way you can shop with ease and comfort knowing that you have these American Express benefits there in case anything happens. If you need to make an American Express Purchase Protection claim you can call 1-800-322-1277 or visit http://www.onlineclaim.americanexpress.com/. If your item was broken then you will need to have the original receipt along with the damaged item. If the item was stolen then you will also need a police report. Lastly you may be required to send in the broken or damaged item to American Express buyer protection as well. Of course there are limits to what you can make a claim for. Travelers checks, live animals, gifts cards, and collectibles are some examples. Make sure to read all restrictions for American Express protection before making any decisions. For more information on Amex Purchase Protection visit http://www.americanexpress.com/PPterms. Let’s say you purchase a pair of shoes and they arrive when you were away on vacation. By the time you get back you find out they are the wrong size too much time has expired for the merchant to agree to exchange them. Breath easy because you have up to 90 days to make an Amex Return Protection claim. Any time that you use your American Express card to purchase an item that the original merchant refuses to take back or exchange, it could be protected under the return protection benefits that come with your card. For example, a lot of merchants have a 30 day return policy, but Amex moves that up to 90 days. Items must still be in “like new” condition with no damage and still functional. You are covered up to $300 per incident and $1,000 per calendar year. To file a return protection claim by call 1-800-297-8019 or visit https://www.americanexpress.com/onlineclaim. Don’t you hate when you make a purchase and something goes wrong with it right after the manufactures warranty expires? Well, shop easy knowing that the items you use your American Express Card to purchase offer up to 1 additional year onto the original U.S. manufactures warranty (applies to warranties that are 5 years or less.) Coverage for American Express Extended Warranty is for items up to $10,000 and cannot exceed $50,000 per calendar year. Its important to note that the AMEX extended warranty does not cover physical damage, damage due to a natural disaster, software, motorized parts, and more. For more information on the American Express Warranty benefit please visit https://www.americanexpress.com/EWterms. To verify whether or not an item is eligible visit https://www.americanexpress.com/EWterms and to make an American Express Extended Warranty claim visit https://www.americanexpress.com/onlineclaim or call 1-800-225-3750. All of these features can make it well worth it to utilize an American Express credit card or charge card when shopping. The piece of mind that comes with knowing that you are protected if an item breaks or is stolen, you have up to 90 days to return something, and you get an additional year of warranty coverage makes your whole shopping experience much easier. Also check out the benefits American Express offers on presale and preferred seating for any future events you want to attend. 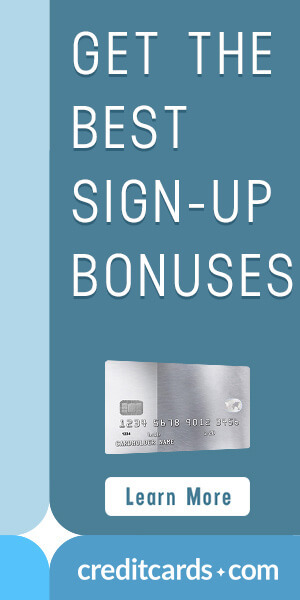 If you already have an American Express card or are thinking about getting one see what offers and credit card signup bonuses you could qualify for with the CardMatch Tool.